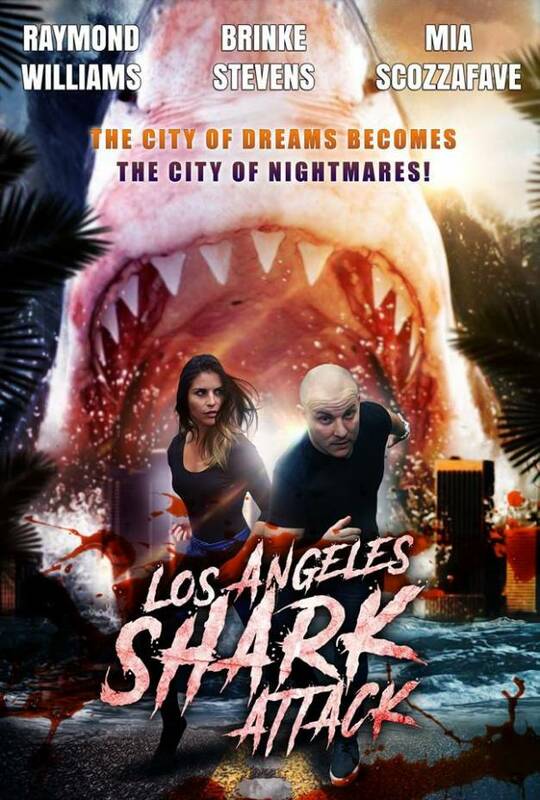 HOLLYWOOD, Calif. - March 11, 2019 - PRLog -- Dustin Ferguson ("Nemesis 5", "RoboWoman", "Meathook Massacre" series) recently held a standing room only audition in Burbank for the leads of his new Thriller "Los Angeles Shark Attack". The leads have now been selected and are featured on the new poster, designed by Gaz Jackson of Sinister Arts (pictured above/below). Raymond Williams recently appeared in the remake of the Donald Farmer cult classic "Savage Vengeance" as "Mad Dog". He will be playing lead "Paul Anderson" in "Los Angeles Shark Attack". Mia ScozzaFave recently appeared in the newest installment in the Albert Pyun-directed ("Nemesis", "Mean Guns") "Cyborg" series titled "Cyborg: Rise of The Flesheaters" as "Azrael". She will play opposite Raymond as "Rebecca Romaine" in the film. The film will also feature Mel Novak ("Game of Death"), Brinke Stevens ("Slumber Party Massacre"), Maria Olsen ("I Spit on Your Grave: Déjà vu"), Kelli Maroney ("Night of The Comet"), Dawna Lee Heising ("Nemesis 5"), Alan Maxson ("Godzilla: King of The Monsters") and Vida Ghaffari ("RoboWoman"). "Los Angeles Shark Attack" will go into production for two weeks this May in Oceanside, California. The legendary Chuck Cirino ("Chopping Mall", "Sorority House Massacre 2") will be handling the cinematography, score and digital f/x.